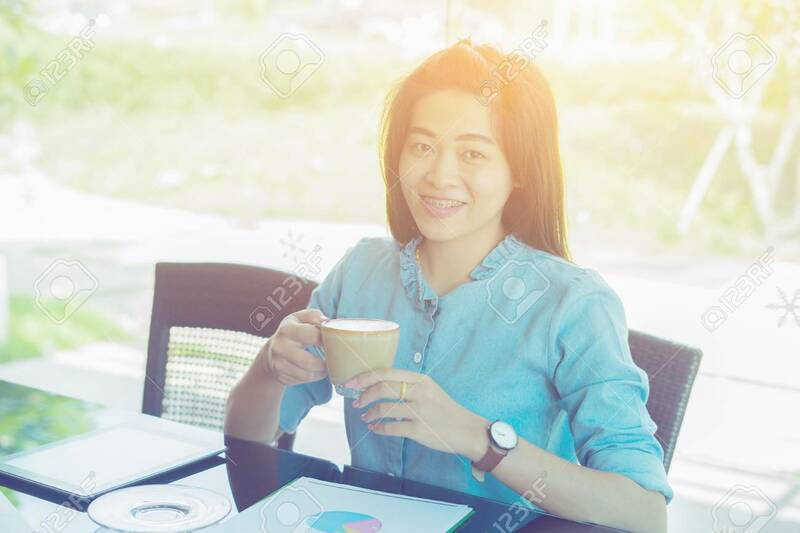 Smiling Happy Brunette Woman In A Good Mood With Cup Of Coffee Sitting In Cafe For Ralaxing. Bright Sunny Morning,vintage Color Banco De Imagens Royalty Free, Ilustrações, Imagens E Banco De Imagens.. Image 80700551.